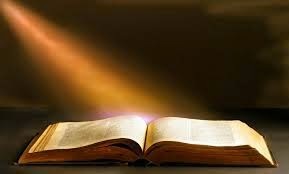 God's Word can be likened to many things as seen in the Bible itself. It can be likened to Hammer, to Honey to Water among other wonderful analogies. However, this short piece is based on the capacity and the potency of the word of God as a seed to grow and multiply. God's Word is a seed and as such it means it can and it will always exhibit all the attributes of a seed If it is seen as such. 1. 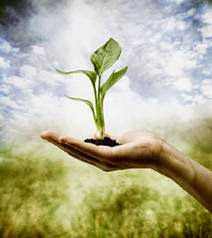 Growth: God's word is a living seed and like any living seed it is even more powerful and has the capacity to grow. Under the right conditions, given faith, a good, humble and teachable heart it will grow and produce the right results. That was the first challenge in the parable of the sower. in Mark 4:1-19 , finding the right atmosphere for the word to grow. We need to consciously create that atmosphere. 2. Multiplication: When the word grows, it has the capacity to grow mightily and multiply this is the phase achieved in the parable of the sower in Mark 4:20. This is more vivid when we look at the miracle of a grain of maize that grows and produces over 500 grains on a single cob after it was sown, and it usually has more than a single cob on a stalk. God's word can grow,produce and multiply much more beyond our imaginations. We all love new things...i do too... inviting Jesus as your Lord and saviour is the beginning of a new life,if you haven't done so, please do so today, BY speaking to him like a friend.